3D Printing over coffee? Innovative café concept opens in London. UK based designer Soner Ozenc is so passionate about the creative possibilities for 3D printing that he is opening the first 3D café in Shoreditch today. 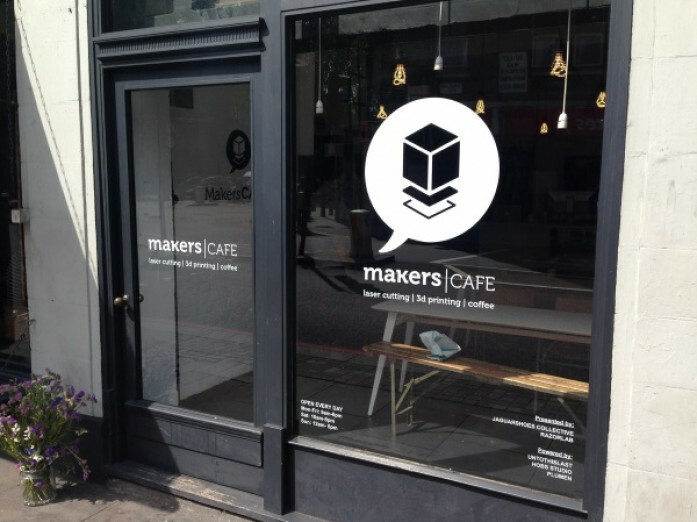 Makerscafe is a space where 3D print enthusiasts can grab a hot beverage, work on designs, print objects and chat with like-minded people in a suitably swish environment. Describing itself as ‘half makerspace, half cafe’, clients can use the stores Solidworks, Rhino and SketchUp design programs to develop their 3D models and then print them whilst savoring their barista crafted coffee. Unlike alternative channels, there are no subscriptions, nor link between material usage and cost. Instead clients pay only for the time they use the equipment, which is currently priced at just £1 per minute. Makescafe is not the first 3D printing business to hit the high-street as similar business already exist in Barcelona, Taipei and Tokyo. However it is thought to be the first of its type in the UK and Ozenc hopes the natural fit between creativity and coffee will underpin its success. “3D printing is all about creative digital manufacturing, while coffee is all about coming together and discussing and creating ideas”.